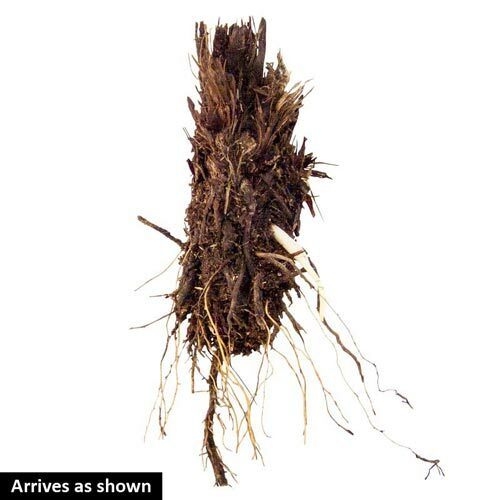 Planting InstructionsPlant crown 2-3" below the soil surface. Winter CareNone, except to mulch in colder climates the first winter. Remove the mulch promptly in early spring. Flower FormStandards are erect and much smaller than the falls. Foliage TypeLong, narrow sword-shaped leaved with a prominent variegated midribs. Soil RequirementAcid loving, lime-free, moist soil. 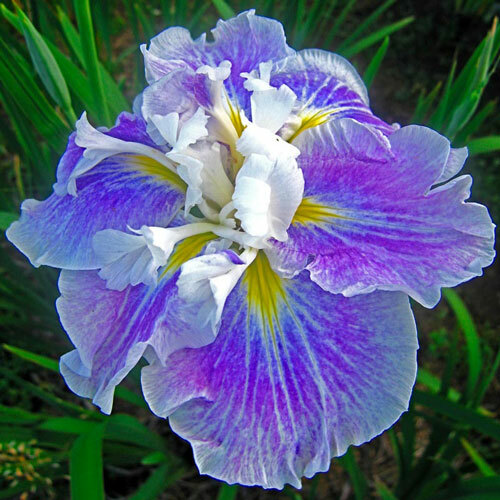 Unique CharactersticsKelly Nurseries: This gorgeous Japanese Iris is a complex combination of blue, violet, red, yellow and white. The huge flowers open in early to mid summer on 30-36" stems in sunny garden areas. Grows best in moist soils. Deer resistant.